It's day one of Noir City: Chicago 6, a week-long film festival devoted to international noirs from France, Spain, Italy, Japan, Argentina, and the UK. "These international entries may not conform to our visual sense of film noir, with its expressionist use of light and shadow, but the ones I've seen fall squarely within the thematic concerns of the genre, which sprang out of the postwar conviction that humanity was hopelessly tainted," says Reader film editor J.R. Jones. Too Late for Tears and Roadblock screen tonight back-to-back. Lollapalooza isn't cool. You know what's cool? 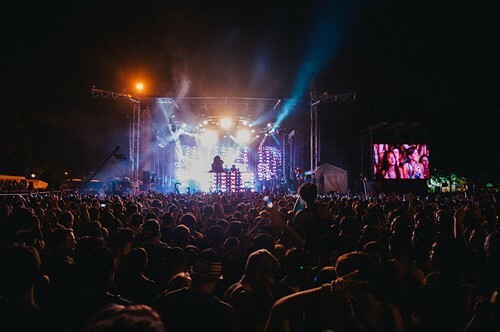 North Coast Music Festival. It kicks off in Union Park today with performances by Papadosio, Bassnectar, and Alesso. Aftershows at Concord Music Hall promise even more North Coast jams this Labor Day weekend, with Lettuce and Badbadnotgood performing tonight at 10 PM. Another weekend-long celebration is Taste of Polonia at Jefferson Park's Copernicus Center. Live music blasts from 5 to 10:30 PM, while vendors serve up pierogis, stuffed cabbage, grilled pork hocks, and potato pancakes.